The American Society of Composers, Authors and Publishers (ASCAP) hits its 100-year milestone on February 13th, 2014 and will celebrate the centennial with a new book, two commissioned short films including a collaborative song and music video, and an innovative website featuring a timeline of ASCAP’s rich history. In addition, celebratory and educational events spanning the country will include a Library of Congress exhibit in Washington DC, reflecting ASCAP’s energy and expertise throughout its history advocating for music creator’s rights. 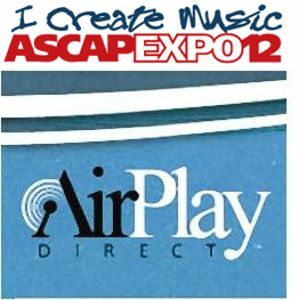 Sun and Songs Shine as AirPlay Direct Sponsors ASCAP Expo 12 in L.A.
Go ahead. Ask anyone who's ever been to ASCAP's I Create Music Expo. They'll tell you that it put them right in the heart of ASCAP's community of today's most successful music creators. They'll tell you things like "it's three days of education, networking and inspiration" and how you'll get "useful feedback and guidance." 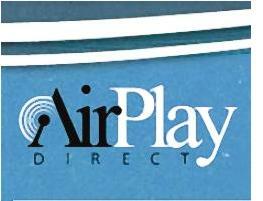 AirPlay Direct is proud to be a sponsor of the event this year. Never used AirPlay Direct? Never heard of AirPlay Direct? Here's the official word... Since ASCAP Expo 12 is in Los Angeles we thought we'd use language native to the area to tell you describe it: most excellent...and quite possibly, awesome. Read more about Sun and Songs Shine as AirPlay Direct Sponsors ASCAP Expo 12 in L.A.